American Staffordshire Terrier with Cropped Ears Dog Breed Garden Stake in your favorite dog breed! 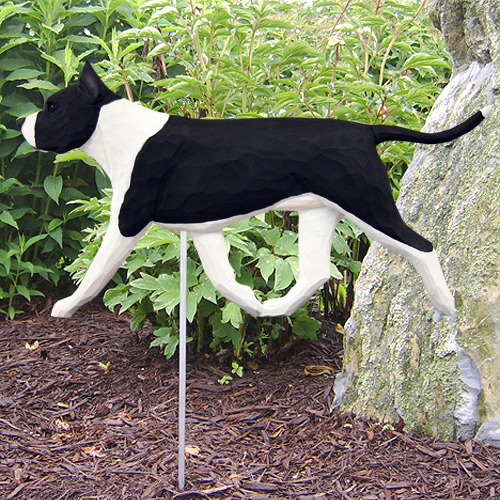 Our AmStaff Terrier Dog Breed Garden Stake features a Two-dimensional hand painted resin dog mounted on an aluminum rod. 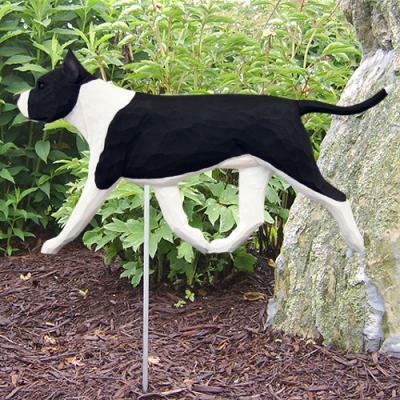 The American Staffordshire Terrier Garden Stake is perfect Dog Lover Garden decor! Great for display in the garden, flower bed or any area of landscaping - move it inside during the winter and put in a pot plant. The sizes of the dog figurine vary based on breed but they measure approximately 11 1/2" in length. Stake is 1/4" x 16". Each AmStaff Terrier Dog Garden Stake is custom made upon order. Made in USA.